What does it mean to be “Manufacturer Certified” and why is it important to you? Today’s vehicles are built with highly advanced materials and sophisticated processes. Car makers know that a body shop can’t properly and safely repair their vehicles without specific manufacturer training and equipment. Crash-safety is engineered into today’s vehicles and they must be correctly repaired to retain their original safety standards. 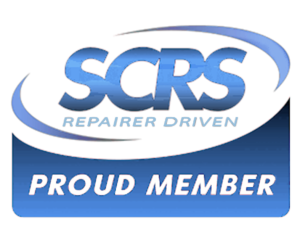 That’s why more and more auto makers are recognizing the importance of certifying select shops to ensure that their procedures are followed and that quality parts are used in the repair process. Capitol Body Shop is certified by more auto manufacturers than any other body shop in Mississippi. Audi requires that technicians at their Audi Authorized Repair Facilities undergo extensive training in the proper use of the Audi factory-approved repair equipment, tools and technologies to ensure the repair meets Audi’s exact standards. In addition, these network faci lities must be re-certified annually, and technicians re-certified every two years. 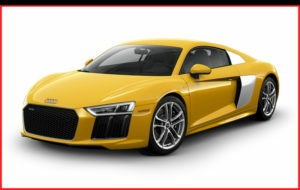 As an Audi Authorized Collision Repair Facility, Capitol Body Shop’s technicians have undergone extensive training and use Audi Genuine Parts, which offer the utmost quality and the backing of a factory warranty. We use Audi-approved procedures that ensure safer repairs and help protect the value of your vehicle.. Capitol Body Shop is the only Audi Approved Repair Facility in Mississippi. Audi customers can rest assured that the repairs Capitol makes to their vehicles are up to Audi standards and specifications. 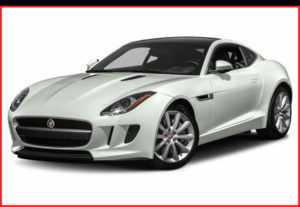 Jaguar / Land R over’s has established the Jaguar Land Rover Authorized Aluminum Repair Network, so customers know they are getting repair work worthy of the Jaguar and Land Rover names. Capitol Body Shop is the only Jaguar / Land Rover Certified Repair Facility in Mississippi and one of the few in the entire country. Capitol’s certified technicians have undergone exclusive training by these manufacturers and use Jaguar Land Rover-specific tools and equipment to meet the manufacturer’s strict standards. Although no one can predict if or when an accident might occur, you can be assured that your Mercedes-Benz Certified Collision Repair Facility exists for one purpose – to ensure that your vehicle receives the safety and craftsmanship that you expect as a Mercedes-Benz owner. 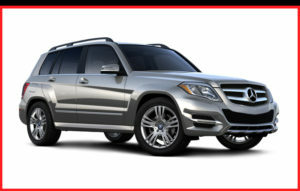 As the only Mercedes-Benz Certified Collision Repair Center in Mississippi, Capitol Body Shop will accomplish repairs the right way – with Mercedes-Benz replacement parts, using approved equipment, and with a high level of training expertise to restore your vehicle to pre-accident condition. Mercedes-Benz clients are encouraged to exercise their right to insist that collision repair work be performed only by those repair centers which are certified by MBUSA. Any repairs not performed in accordance with Mercedes-Benz specified repair procedures or otherwise not properly performed are not covered by the Mercedes-Benz New Car Limited Warranty. ProFirst Certified shops are validated by Honda for their skill and expertise, commitment to a complete, proper and safe repair, to ongoing industry education, and to customer satisfaction. Honda/Acura ProFirst shops are re-certified annually to ensure a high standard of repair quality and adherence to Honda/Acura repair procedures. As a ProFirst shop, Capitol Body Shop has access to all Honda/Acura service and repair information, including mechanical and collision repair, for all years and models. Late-model vehicles are often designed and engineered using different metals and lightweight materials to increase fuel economy. These materials often require specific tools and equipment for proper repair, and ProFirst Certified shops are required to have the right tools and equipment to repair your Honda or Acura, no matter what year it is. Porsche vehicl es have earned the reputation of providing one of the most exciting driving experiences known to automobile enthusiasts. But when your Porsche is involved in a collision, only the most exacting repair and reconstructive techniques and materials can assure that your “Porsche Perfect” driving experience is not diminished. Assuring Porsche’s high standards of performance and quality requires skilled and trained professionals who adhere strictly to Porsche procedures. As the only Porsche Approved Collision Center in Mississippi, Capitol Body Shop responds to this need. Capitol Body Shop has been individually selected by Porsche, trained and equipped to provide collision repair services that meet the high quality standards Porsche customers have come to expect. Less than one percent of all collision repair facilities can qualify to be Porsche Approved Collision Center. Capitol Body Shop is committed to manufacturer procedures, and to the use of genuine Porsche parts, materials, tools and equipment. Porsche Approved Collision Centers are continuously supported and monitored by factory technical personnel. Accidents may happen. Mistakes, however, can be avoided. The VW-Certified Collision Repair Program provides Volkswagen owners the peace of mi nd that comes from knowing that when a vehicle is involved in a collision, the VW-Certified shop will maintain the brand’s safety standards and specifications. As a Volkswagen Certified Collision Repair Facility, Capitol Body Shop’s technicians have undergone Volkswagen-specific training in the proper use of factory-approved repair procedures. We use equipment, tools, techniques and processes that meet Volkswagen’s safety standards and specifications. 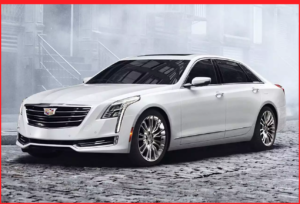 Capitol Body Shop is one of the few collision repairers in the country certified by General Motors to repair the all-aluminum Cadillac CT 6. As a Cadillac Authorized facility Capitol Body Shop meets all tooling, equipment and Genuine GM Parts requirements to help ensure proper repair of aluminum vehicles. Our technicians are trained in the latest Cadillac aluminum structural repairs, procedures and technology to ensure a safe, quality repair. Assured Performance works with the top auto manufacturers in the country to identify, certify, and promote these best-in-class repair businesses through one joint-effort program. Through the Assured Performance Network, Capitol Body Shop is certified by these auto makers. 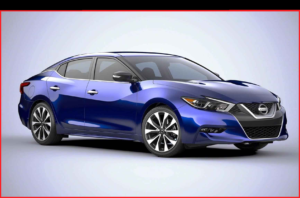 Nissan / Infiniti Certified Collision Repair Network shops have trained technicians, the right equipment and tools along with the knowledge to get the job done safely and correctly. Nissan and Infiniti recommend choosing a repair facility certified by them to ensure that your vehicle is repaired to their specifications. 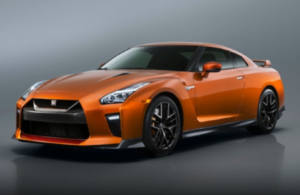 Only Nissan GT-R Certified Collision Centers have received the specialized training and have the necessary tools and equipment to properly repair the class-leading GT-R. Capitol Body Shop is the only Nissan GT-R Certified Collision Repair facility in Mississippi. Tesla was founded in 2003 by a group of engineers who wanted to prove that people didn’t need to compromise to drive electric – that electric vehicles can be better, quicker and more fun to drive than gasoline cars. The Tesla Body Repair Program has been established to ensure that Tesla vehicles are returned to their originally designed state of safety, systems performance, and fit and finish. Capitol Body Shop is the only Tesla Certified Repair Facility in Mississippi. Spies Hecker is the world’s leading supplier of products for automobile, commercial vehicle and industrial finishing. In every decade since 1882 Spies Hecker has pioneered major technical developments and integrated the evolving technology with their refinishing systems. Truly a global player, Spies Hecker systems are used in more than 60 countries around the world. All Spies Hecker products undergo the strictest quality checks and comply with all industry and government standards. Capitol Body Shop uses the Spies Hecker refinishing product line exclusively in all our locations. I-CAR is an international, non-profit training organization formed by the collision repair industry in 1979. This organization focuses on helping the collision repair industry achieve excellence in training by developing and delivering technical training programs to professionals in all areas of collision repair. Capitol Body Shop has achieved I-CAR’s highest certification. As part of our ongoing education, all Capitol Body Shop team members continuously attend and receive I-CAR training and certifications. The National Institute for Automotive Service Excellence (ASE) certifies automotive professionals and helps improve the quality of service through testing and certification of repair and service technicians. Capitol Body Shop has ASE Certified mechanical, collision and refinish technicians.